Mac OS X: v 10.6, 10.7 and laters. 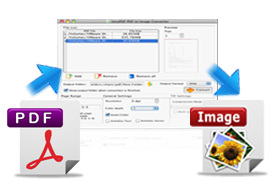 PDF to Image Converter for Mac is able to convert PDF document to multiple image formats such as BMP, JPG, GIF, TIFF, PNG, etc. With this function, you can freely choose to convert the document of PDF to image format that you need just by several clicks. By using PDF to Image Converter for Mac, you can set image resolution in DPI. 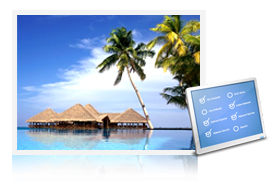 If you want to change the image color depth, this app supports to create 1, 8, 24, 32-bit image. You can instantly invert the image just by one click. The options "Antialias Text" and "Antialias Vector" can make your PDF document smoother. With a user-friendly interface which can be easily accepted by most of people, you can operate Image to PDF Converter for Mac with great facility. Just by some mouse clicks on your Mac system, you can fulfill your conversion from PDF to image fast. Support Mac OS X v 10.6, 10.7, etc. systems. Able to make batch conversion. 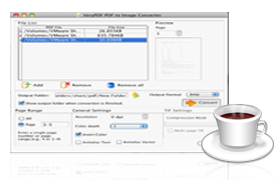 Support output format: BMP, GIF, JPG, TIF, TGA, PNG and PPM. Specify PDF page range in the conversion. Allow to set image resolution in DPI. Support to create 1, 8, 24 or 32-bit color depth image. Antialias Text and Vector are all supported. Support to preview specified page in preview window. Supply several kinds of TIFF compression methods. Able to create Multi-page TIFF image file.